The four ISE Show Floor Theatres are set to provide visitors with a compelling programme of content-rich presentations from exhibitors, end-users, trade associations, business consultancies and respected thought leaders throughout ISE 2016. The featured theatres and there locations within the RAI are as follows: Residential Solutions Theatre, 5-S160, (Sponsored by KNX). 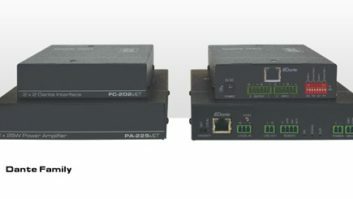 Commercial Solutions Theatre, 8-D360, (Sponsored by KNX). Unified Communications Theatre, 9-A140, (Sponsored by Crestron). Audio Solutions Theatre, 7-Z160, (Sponsored by Tannoy). Typical of the type of high quality content on offer is the session planned by Kramer. It has assembled an expert-laden panel discussion covering one of the hottest topics currently affecting the industry: AV over IP – Opportunities and Challenges as AV and IT Converge. This will take place at the Unified Communications Theatre on Wednesday, 10 February at 16:00-16:30. Tim Albright of AV Nation will lead the panel, which will include: Daniel Rogers, AVI-SPL; Alan Glowacki, Cisco; Dan Jackson, Crestron; Paul Krizan, Harman Professional Solutions; Aviv Ron, Kramer; Eric Smith, Reardon Advisors and Patrick Stewart-Blacker, Visual Acuity. Topics to be discussed during the panel will include: what the future of AV looks like in an AV/IT converged world, how long the evolution from AV to IT will take, and factors that will determine success in a converged market. Another highlight over the four days will be the series of daily theatres presentations curated by invidis consulting under the banner Digital Signage Summit Presents. Taking place in the Commercial Solutions Theatre there will be three sessions each day curated by invidis consulting the leading digital signage consultancy and Integrated Systems Events partner for the Digital Signage Summit series of confernces. Invidis MD Florian Rotberg will present one digital sigange topic himself per day which will will be followed by presentations from leading respersentatives from Google; Benetton; Broadsign; DOOHapps; Grassfish; Onelan; dimedis and LFM. The Audio Solutions Theatre Theatre, making its debut at ISE 2016, will feature a daily presentation that would seem to sum up the theme of this particular theatre: I Can’t Hear You– Making Audio Work Well In Business Applications, presented by Graham Hendry of The Music Group/Tannoy. The Residential Solutions Theatre has a wide range of session covering all areas of residential installation with particular prominence given to CEDIA which is making 15 of the presentations on offer. These will have a particular emphasis on training and personal development.